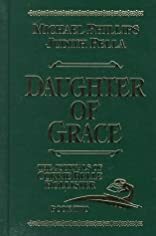 She is learning how to be a -Daughter of Grace. When Corrie Belle Hollister and her younger brothers and sisters unexpectedly found their father on the streets of Miracle Springs, their shocking reunion was tentative at best. It would take the full story of My Father's World for them to discover each other in their hearts and to start to become the family God wanted them to be. 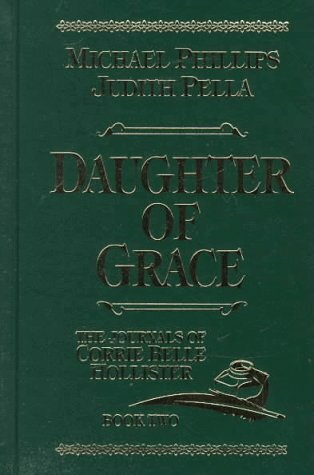 Daughter of Grace shows the developing relationships between the reunited Hollisters. And many things in Miracle Springs change: the new church gets built, a school is opened, Pa Hollister settles into his role as father, and the Hollister cabin becomes a home. But the biggest change occurs in Corrie as she matures into womanhood thanks, especially, to Mrs. Parish. Pa Hollister rightly concludes that the children need a mother's care. But when he makes his choice, Corrie's world is once again shaken.